Black Solutions creates high-performing hair and skincare products that solve everyday personal care issues for the ethnic market. With rapid business growth and more awareness within the industry, Black Solutions decided it was time for a brand facelift. 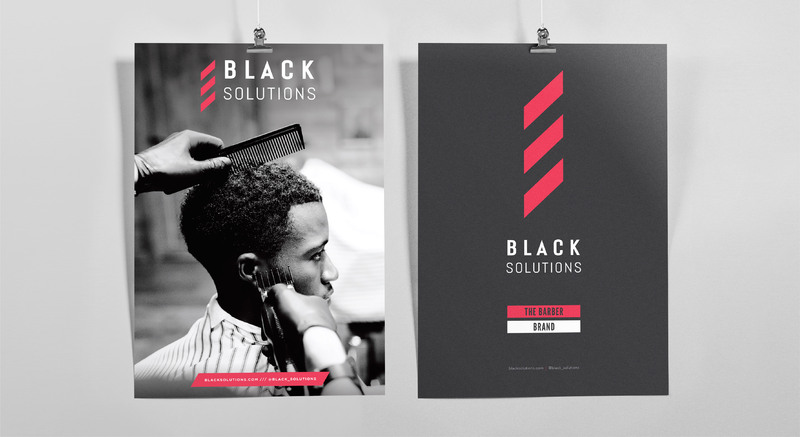 Black Solutions barbers are known for their energetic attitude and crisp precision, so their new branding had to be on point as well. We took the original outdated Black Solutions logo and packaging and revived it with a clean, modern and bold look that significantly elevated and more accurately reflected their brand.